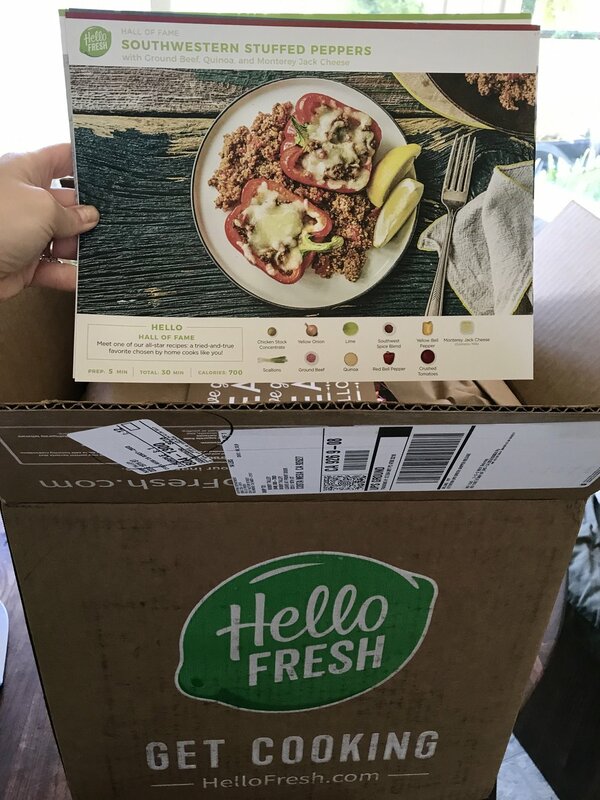 Saying YES to Hello Fresh! One thing we love about exploring the world is experiencing amazing cuisine. Having a tasty meal and a good glass of wine with the one you love, maybe with a great view in front of you, is pretty incomparable in our books! But talk about a reality check when we get home!! One of our biggest struggles is finding our rhythm in the kitchen. We don’t really feel like cooking, few meals compare to the recent feasts we replay in our heads, and dishes are the BANE of our existence. Maybe a little too dramatic, but guys, the struggle is SO real. All that to say, when we recently came across Hello Fresh, we figured why not?! Worth a try. And we've been hooked ever since! While we still aren’t huge fans of washing dishes, we wanted to share a few reasons why Hello Fresh has been the perfect fit for our lifestyle and our bellies. As we said above, extravagant meals away from home spoil us and make us lazy. Before Hello Fresh, we'd have great intentions for cooking dinner at home on a weeknight... but when it got time to cook, we'd find a way to negotiate ordering take out instead. We'd end up spending more money than we wanted to on unhealthy food, and we'd usually eat in a rush. Contrast that with Hello Fresh deliveries, the meals are HEALTHY, delicious, easy to make, and surprisingly fun to do together! While our plan is only 3 meals a week, that gets us used to being in the kitchen, and we often cook at least 2 more nights on our own! 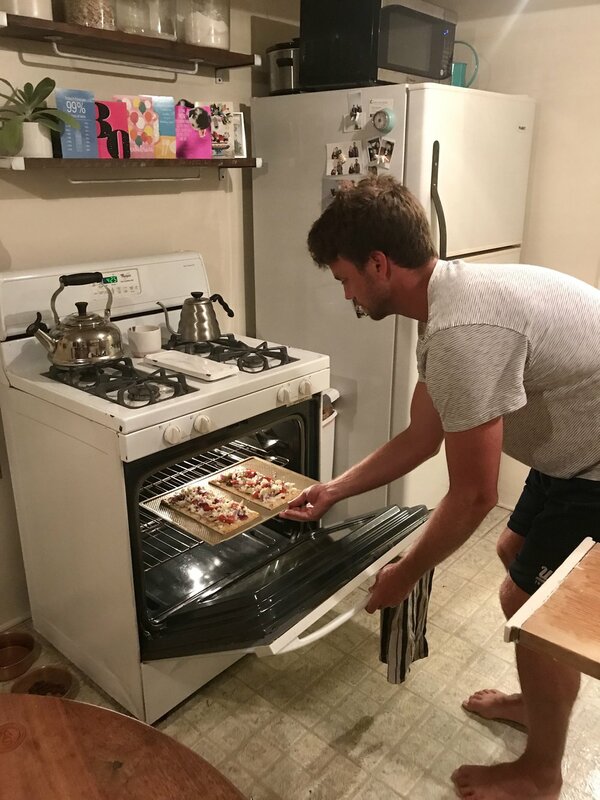 Some of our favorite "date nights" recently have consisted of cooking a Hello Fresh together and drinking our favorite bottle of vino! This leads us to one of our favorite things about Hello Fresh. It forces us to cook! The recipes are extremely easy to follow and require minimal culinary skill, but all the chopping and mincing and stirring has definitely improved our skills in the kitchen. You get to use ingredients you maybe didn’t know about, and you start to understand things that go together that you wouldn’t have thought of before (Kiwi in salsa? Cranberry mayo on a turkey burger?)! We find ourselves exploring ingredients on our own when we aren’t eating Hello Fresh meals. While we aren’t quite on their level at culinary pairings, we’re making progress. We’re hoping that one day we can be as creative as the chefs at Hello Fresh. One of the best parts of getting the boxes is opening it up and seeing what they’ve thought of for the week (you can look in advance if you can’t handle the suspense). Bobby hates admitting it, but you really can’t go wrong with the traditional OR the vegetarian menu! The recipes have so much variety and flavor, and consistently satisfy our taste buds. We're serious when we say that we've genuinely LOVED all of our Hello Fresh meals thus far. Can all of our weeknights taste like this? This is pretty straight forward, but it’s also really important. The Hello Fresh boxes have arrived on time every week, and we’re big fans of that. Also, the produce and other ingredients have consistently been extremely fresh - and most of the time organic! Initially we questioned how good the quality could be when the food is mailed to you in a box. But friends, it’s fantastic. The boxes have re-useable ice packs (we love this) that keep all your goodies cool, safe, and fresh. 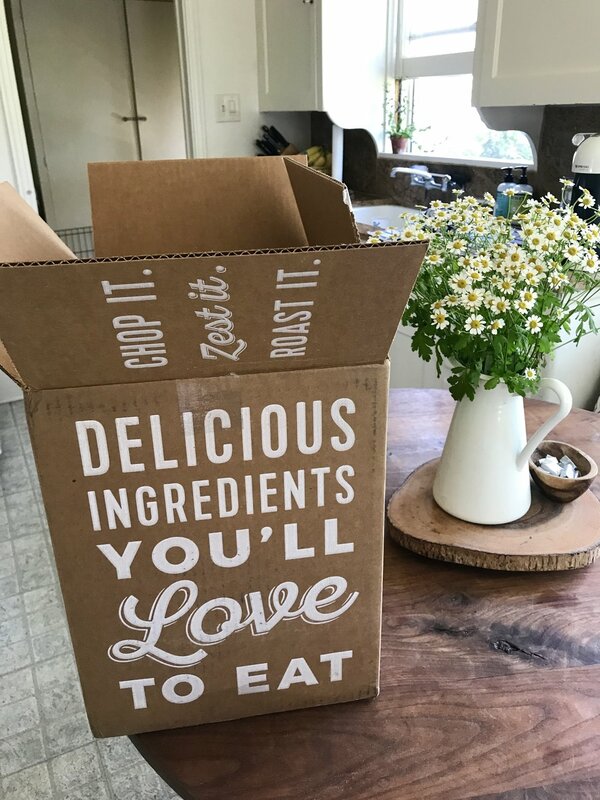 When you’re ready to give Hello Fresh a try, your food will be on time and delicious! Older PostUnforgettable Experience on Safari in Uganda - Photo Blog!